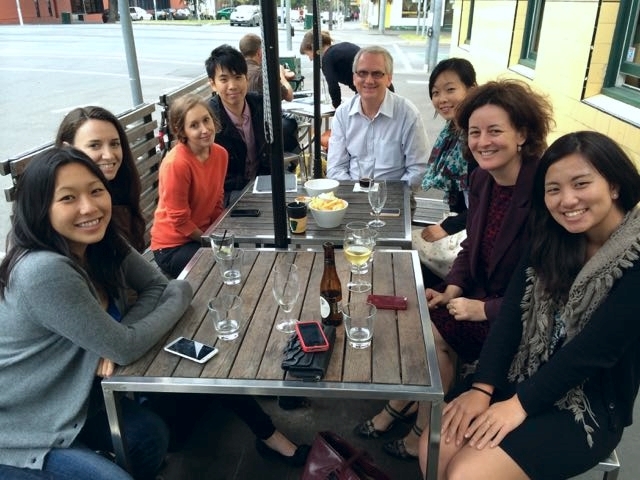 Current and former members of the lab (and friends) got together at the Social Neuroscience Meeting at the University of Melbourne in February 2014. We anticipate 1-2 openings for PhD students in the UQ Social Neuroscience Lab in 2016. Applications for admission to UQ as a postgraduate student are open year round. Domestic (Australian) students can apply for Australian fellowships that include tuition and a stipend. International students are eligible to apply for UQ International fellowships, but these are particularly competitive. If you're interested in pursuing a PhD in the lab, please contact Eric at e.vanman@psy.uq.edu. Are you an undergraduate or seeking an RA position? Currently, we have no paid research assistant positions available in the lab. If, however, you are highly motivated and responsible, we would welcome you as a volunteer assistant. Our undergraduate assistants are fully trained in the different methods we use in the lab, and you'll very likely end up collecting data yourself for a study. You'll also be invited to attend our weekly lab meetings. Note that Psychology students also have various options to receive course credit for their Research Experience. Looking for a Post-doctoral Position or Experience? Currently the lab has no funding to support a post-doc. UQ does have postdoctoral fellowships available for competitive applicants. We would also welcome sponsorship of international postdocs who are seeking additional training in social neuroscience. Please contact Eric at e.vanman@psy.uq.edu.au for more details.